Latest Update: SALE OF FUNAAB POSTGRADUTAE FORMS HAS BEEN EXTENDED TO 30TH APRIL, 2019. APPLY NOW! 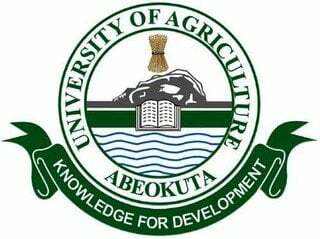 The application forms for admission into the Federal University of Agriculture, Abeokuta, (FUNAAB) postgraduate programmes for the 2018/2019 academic session is now on sale. See how to obtain FUNAAB postgraduate admission form, requirements, courses and duration below. FUNAAB CEADESE Specialised Postgraduate Programmes Admission Form 2018/2019. Please when is the PGD program starting? ADAMA VICTOR ENEDUBI,HND IN COMPUTER SCIENCE, APLYING FOR PGD IN COMPUTER SCIENCE. I GRADUATED WITH LOWER CREDIT. SO PLS IS THERE HOPE OF ADMISSION FOR ME IN FUNAB? URGENT HELP PLZ: Does FUNAAB accepts HND+PGD for MSc (Statistics) programme? Tnx in anticipation for ur helpful comments, recommendations and suggestions.